Beauty shops teem with many soaps for skin lightening. There also is a lot of marketing hype online for the same products but what is the best skin lightening soap? Does Kojie San skin lightening soap work? When explored extensively, it is possible to answer these and more including on reviews and natural lightening soap for skin. Likas papaya soap : Papaya soap contains active ingredients that help in improving the skin’s complexion. It exfoliates, gets rid of any dead skin cells and thus stimulates growth of new skin cells. The product is quite popular in the market and can help achieve a lighter skin within no time. Professional Skin Care Formula : For fast results, this is the product to settle for. The soap is aggressive and can yield results in as little as a week’s time. It contains licorice extract which is necessary for lightening the skin. 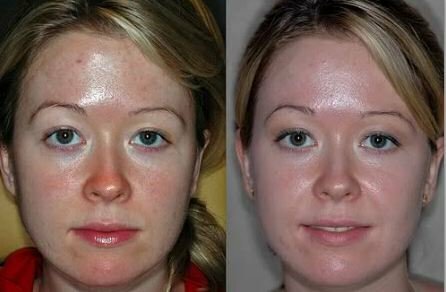 This gets rid of age spots and any other blemishes one may have. Pervil Soap : This is an effective soap but one that leaves the skin dry. This though has the advantage of stimulating the growth of skin cells. Keep the skin well moisturized as you use it. CY Gabriel : This soap also makes it to the list of the best soap for skin lightening. Regular use will yield results in a month. 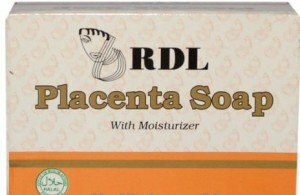 Psalmstre Placenta Whitening Soap : This contains goat milk as well. It has anti-aging components and helps to keep the skin well hydrated. This is besides making the skin lighter. Kojie San skin lightening soap is a popular brand in the market. This could be attributed to its effectiveness and affordable cost. The soap was discovered in Japan. It is produced as a by-product of Koji, which is malted rice used during the manufacture of rice wine. Kojic acid is known for its role as an anti-oxidant and whitening properties. This soap contains an all-natural formula of this acid. Kojie San is orange in color. It has a citrus scent and is mostly packaged in twos. The soap works through micro peeling. This means that the peeling is so gradual one cannot see it through the naked eye. The peeling is bound to cause some stinging sensation. To use the product, one should start out slow. This could mean using the soap twice a week. With time and as the skin gets used to it, you can increase the number of times for use to every other day. A high sunscreen factor should be used during the time of treatment. Failure to do so may lead to the skin getting itchy, flaking off and burning. To avoid irritation, you could do a patch test with the soap on any other part of the body other than the face. The above statement is one that seems to resonate all around the internet. This soap is more potent than the commonly known papaya soaps but can still be used by people with sensitive skin. With prolonged use, it will yield a lighter skin. It comes with a number of advantages. It is cheap and thus affordable for use over long durations. One can expect to start seeing results within two weeks. Where the skin has any type of scars, you can expect that they will diminish. It also has a nice scent. The only disadvantage there is to it is that it tends to melt out easily making it run out fast. One could counter this by slicing it into small pieces to make it last longer. The soap could also dry up the skin if one skips the moisturizer. For some people there may also be some stinging sensation. It is always said that a photograph is worth a thousand words. This is most relevant in proving that a product works. Images taken of individuals using Kojie San skin lightening show a gradual change. 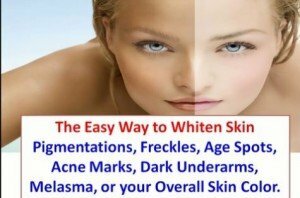 A close analysis will reveal change in skin tone before and after use. 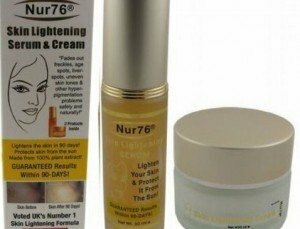 This means that skin lightening using it does not happen overnight but with time. Proper care of the skin once you have started using the soap is necessary. Also ensure that you carry out maintenance by using the soap once in a while to ensure the skin does not darken after you have achieved desired skin tone. When dealing with the skin, it is best to minimize the usage of chemicals. Opting for soaps that are made from natural ingredients is a step in the right way. There are many natural extracts that one could look for. These include arbutin, kojic acid and glutathione. Dr. Woods has a range of products that are 100 percent natural. You can as well choose from different scents. They also vary in what they contain as the active ingredient from papaya, cucumber coconut oil and essential oils. For black people, choosing a soap that is suitable for their skin will make the process easy. It will also help avoid frustration from products that do not work. Among some of the soaps that are known to work include on people with dark skin are Arbutin soap, Likas Papaya Soap, RDL whitening papaya soap as well as a wide range of glutathione soaps. While using these soaps, always keep your skin well hydrated and protect it from the sun. Some of the soaps may cause a burning sensation. One should learn what works for them and adjust the use of the soaps to levels that are bearable. Madina is a soap that is made of a blend of botanical extracts. It contains aloe vera and natural cocoa butter. These work to cleanse the skin as well as help in restoring and controlling skin moisture which is essential for a healthy looking skin. This product is manufactured using ancient African formulation. Reviews are important in helping one learn more about the product they are about to use. It is from reviews that you can learn whether a given soap brand works, its cost, how long it takes for results to be seen and what side effects to expect. These are worth looking at before making a purchase. For a soap to be declared best, it has to have surpassed the expectations held concerning what it can do. The soap has to be effective and have minimal side effects. It also has to deliver value for money. Although there are differing determinants on what the best would be given various considerations, Kojie San and Likas Papaya skin lightening soaps are among the best.